Yumin spends time with her sister at Doré Doré Cafe. It was the day that Hyeamin, Yumin’s sister had planned. A special cafe called Doré Doré cafe, in Sinsa dong. The cafe had many different rainbow cakes. Yumin was very excited about it because the cafe was famous for being a unique and special cafe. 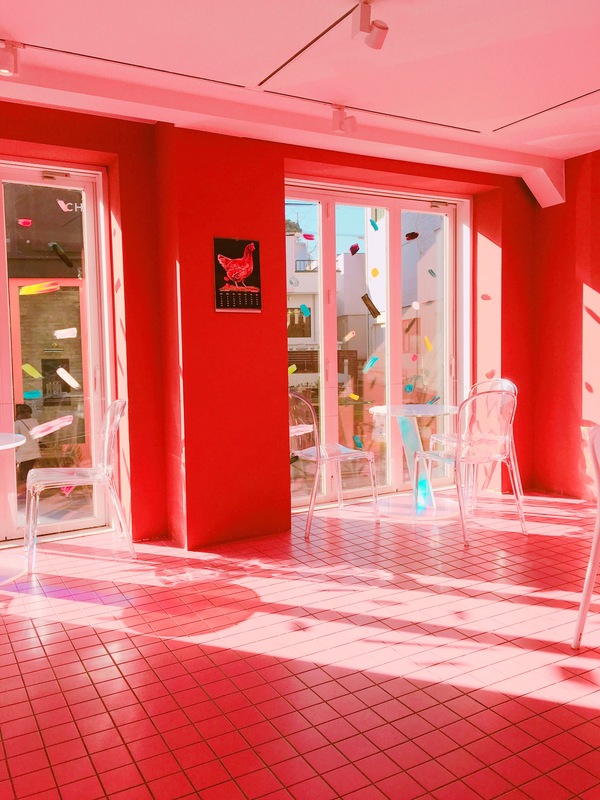 The first floor with pink walls and shiny tables. The whole building was pink with a name on the side called Doré Doré. Inside, there were three floors: the first floor was pink, the second floor was blue and orange, and the underground floor was purple. The sun shining on the clear glass tables were sparkling with colours. The sun made the tables shine with rainbow colours. Other tables were painted with so many different colours. There were many different types of layered cakes such as, rainbow cakes and strawberry cakes. They ordered a four layered red velvet cake with cream in between, sparkling juice, Peppermint tea, and coffee. Yumin did not enjoy the peppermint tea because it was too minty. Also, since the background wall and the sunlight was so pretty, they took lots of photos together on the different colours of the background. Since there is an eight year different between Yumin and Hyeamin, now, it was hard for Yumin to see her sister often. When she went back to Korea for the holidays, she was excited to spend time with her. And spending time at this cafe was a fun and a meaningful experience for them. This entry was posted in Humanities 6 by 23yukim. Bookmark the permalink.